Hi there everyone. I am so excited for today's post over on Shimelle's blog because guess what??? She asked ME to guest blog today. I'm pretty sure Shimelle's blog was one of the first blogs I ever followed do this is a fun honor. I chose to do a tutorial on how to create a faux watercolor paper effect using shaving cream. Wha-what? Here's some photos of the project but you'll have to visit Shimelle's blog to see the actual tutorial. Keep reading below though to download the cutting file I created for this layout. See that multi-colored paper in the background there? That's what I'm showing you how to make using shaving cream and mists. I had these photos of my daughter from Splash Day at school and I knew immediately that I had to incorporate shaving cream into this layout somehow. That's when the light bulb went off in my head. This project is fun to make and if you have kids around, they'll be begging you to get in on the action. Well, at least mine did. I let them strip down to their tidy whities, sprayed shaving cream on the glass table in the breakfast room and let them go to town. Messy? Yes! Fun, inexpensive entertainment? Yes! Clean-up? Easy-breezy! While they were playing, I was mixing up something fun myself. 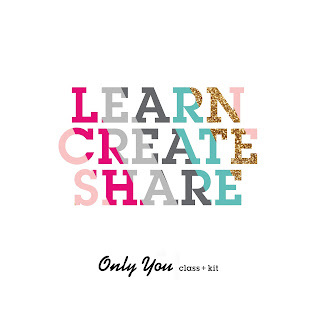 Visit Shimelle's blog for the tutorial. I chose the colors based on the pink and orange suite my daughter was wearing and the other colors in the background. 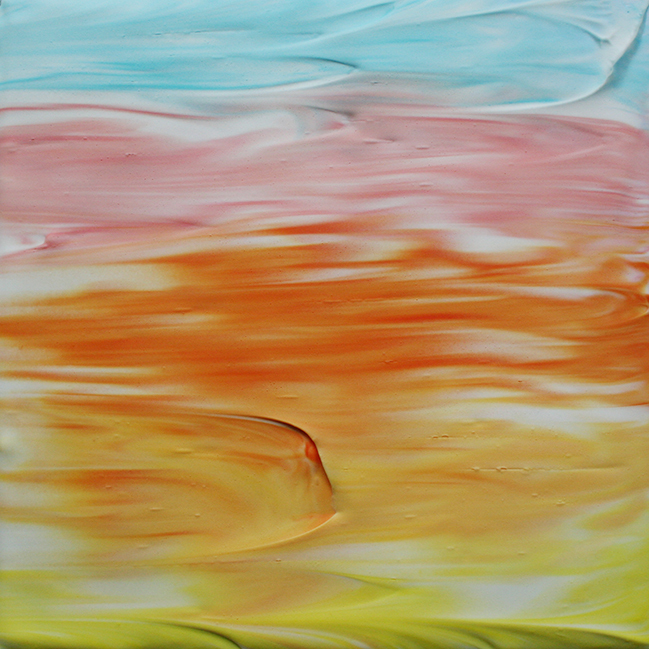 It reminds me of a sunset. I chose to use the paper I made as a background. I simply designed a page full of circles in my Silhouette software. You can DOWNLOAD THE FILE FOR FREE HERE. 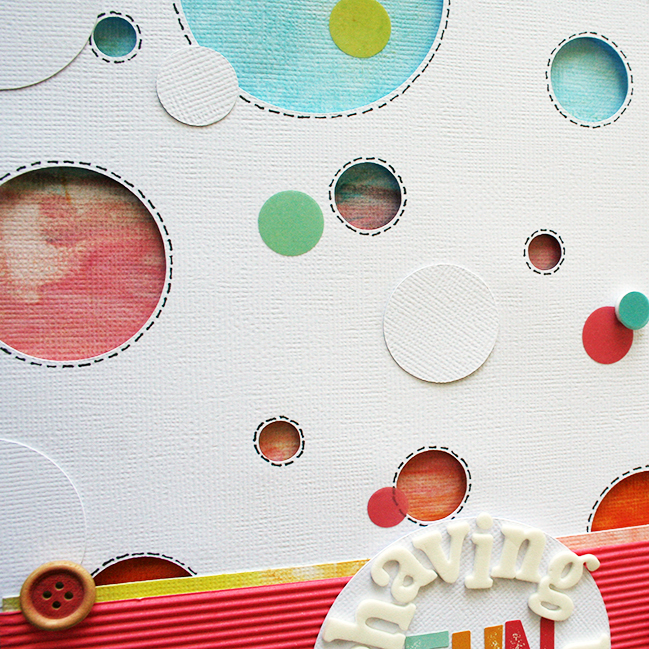 I used the re-used the circles that I cut out by adhering them tone on tone on my layout. I chose to use white foam letters for my title because they reminded me of the shaving cream that my daughter was covered in in all the photos. Thanks for visiting me today. No go on over to Shimelle's blog to read how I did this and then go get crafty! 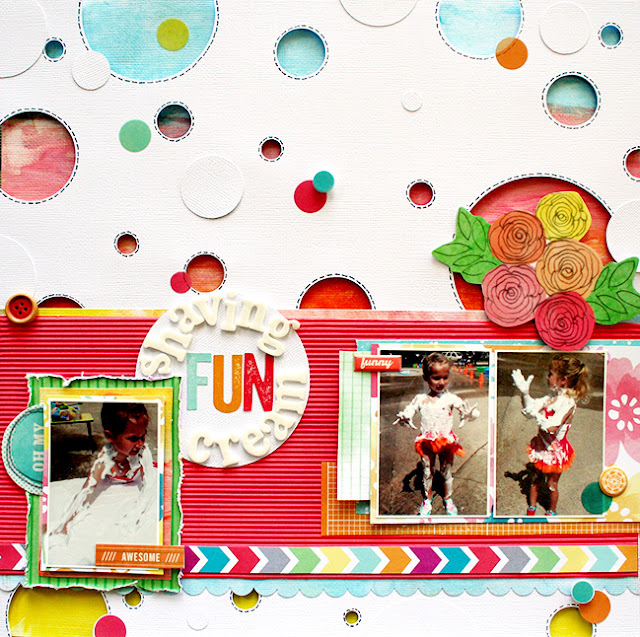 GREAT tutorial and SUPER fun page Heather! Such a COOL technique! My kids used to play with shaving cream in PreK, but I've never heard of coloring the cream. Great results! Wow... What a beautiful page! I loved this efect! Seriously?!?! I have to try this!! Super fun... thanks for the tutorial! Did it, love it, blogged about it ;) Love it!! You know I love this! Genius and amazing LO! !